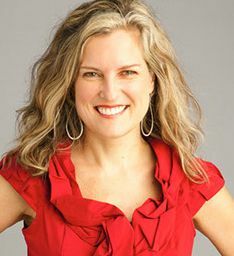 Laura Davis Taylor, Senior Vice President, Managing Director, BBDO ShopWorkEditor's Note - David Keene: Laura Davis Taylor's "Digital Signage in the Retail Space", from the August issue of Digital Signage magazine... In one of our free-ranging conversations on the retail market, contributor Laura Davis Taylor and I were recently discussing the sad state of affairs that ensues when creative industries fall too far under the spell of the cost-cutting mentality. It would be kind of silly to wax nostalgic about the likes of F. Ross Johnson, of 1980s leveraged buyout fame, who famously said, in the midst of the big deal, “Any Neanderthal can go in there and whack away and cut costs… show me a guy who can spend money.” Those were days, weren’t they? Johnson’s intense style was vividly described in Barbarians at the Gate, the 1990 book written by investigative journalists Bryan Burrough and John Helyar, about the leveraged buyout of RJR Nabisco. And while we’ll never (thankfully) return to that mentality, it’s useful to compare the recent overemphasis on cost-cutting to those more daring times. Once in a while, I get to spend time engaging with really smart retail people—brands, retailers and agency lightning rods—and get way out of the day-to-day to just think. Think about what’s working at retail, what’s not and what we need to do to light a fire around some of the big opportunities. Last month, I was delighted to be part of an event to do just that. An all day session geared towards creating better retailer and CPG collaboration, we agreed to share openly and not quote anyone in the press. But some key themes came up that stuck with me. The most talked about topic of the day was change, particularly as an outcome of the economy. Everyone has been affected by the economy. We always will be. But the economy is cyclical and things are looking up. Brands are spending money, they are looking to innovate and they are honestly excited about testing new things. In all honesty, technology and über smart shoppers are pushing them into it so they don’t have a choice. At the same time, look around. How much true innovation is out there? Not the kind that gets big splashy write ups and costs gazillions of dollars. I’m talking about the ones that have scale, selling power and do really useful and beloved things for shoppers. The ones that break through shopping barriers, make people happy to be in a store, actively engage them or get them shouting out about how cool and appreciated it is. Why is this? We discussed a number of big things behind retail’s slow progress, the following being the key headlines. Even though the appetite for innovation is high, the habits developed from the economic downturn are now established. We are in an upturn, but we’re still behaving like we’re in crisis mode. Conservative thinking towards spending and an uncompromising demand that all tests prove ROI are making it hard to get new efforts approved. David Keene, our editor, discussed his perspective with me on this at length and made the point that all of the great marketers were not cost cutters. They knew how to spend money to make money, creating fantastic bigger-than-life campaigns that made product fly off the shelf. Working in a large agency, I back this up completely. In the 60’s, it was all about creating something memorable for people…not ROI. Marketing ROI didn’t even exist! In today’s climate, you have to know how to spend money as much as cut costs. The ongoing culture of retrenchment—fear and cost cutting—is killing retail progress. Cost-cutting is of course necessary both in a downturn and to deal with shifting paradigms– but the trick is to know when to start being aggressive again. What happens when there’s a fear to embrace a first mover’s advantage and spend to learn? Invariably, some brand goes first and their competitors then panic and go into react mode. This creates high cost initiatives that are poorly planned, not synched with other shopper activities and often not driven by the appropriate cross functional team. Let’s talk about planning a little deeper. Planning is both a process and a practice. Yes, complex innovation experiments must involve the right people to “plan the work and work the plan”. But in the marketing world, there is also the brand plan. This is often overlooked with everyone’s zeal to get a big hairy project activated on time and on budget. This is also why we end up with plenty of one hit wonder initiatives. Start by yourself these questions: Why are we doing this? What is the most important benefit for the human being interacting with this? How will it translate to business value? If you have sensible answers, you can nail down a vision for what you are proposing. Any initiative needs one vision to successfully unite a team and sell it up, particularly true if you don’t know how much hard revenue it will create—which is often times the case when trying something new. Teams are often still not properly aligning. This can be internally, with the vendors, or both. If misaligned, there’s no trust and everyone starts pushing their own agenda to cover their rear ends. Then we end up with stuff that’s not helping the shopper—it is furthering personal agendas. What happens then is a lot of money spent that executives look at as a failure. So what makes a good team? When these attributes make up the fabric of the team and it’s upheld by a strong leader, the result is not only buy in and commitment from all involved, but better ideas. Stronger programs. Energy and force that drives new thinking and the passion to perpetuate it. This decade will be the most radical shift in retail history. It’s going to be reinvented and it’s up to you regarding your role. So how do you beat off the snakes and barriers? First, you can’t give up. Many of us in this industry have been beating on this innovation hymnal for many years now. It’s not easy—it likely never will be. But innovation is a mindset, a passion and a practice. You can’t pay lip service to it. You have to believe in it and face the issues head on as they hit you. But you must be a fire starter as much as a fire fighter. You must creative a team culture of collaboration. If you collaborate, preconceived ideas come down, teams work together, everyone learns, everyone evolves and bigger and better things result. Today’s stores are learning centers. Shoppers are finding new ways to shop and we are learning new ways to help them. But we have to commit to falling forward, not watching from the sidelines.